As a ministry practice, I have for many years embraced what God is doing rather than what He is not doing. John 5:19 encourages this where Jesus said that He only did what He saw the Father doing. This rings true now, more than ever and I would like to share some of these things with you. We have seen some amazing connections and heard some profound testimonies as a result of the Kingdom Influence in our lives and those that we have encountered as well. So many supernatural events, healing’s, prophetic words and many other incredible things have been happening, that it would take several chapters to convey it all. So I thought it would be easier to share this report in a timeline fashion, just to give you a glimpse of some of the cool things God has been doing. In November (2013) while attending the Leader’s Advance hosted by Pastor Bill Johnson at Bethel Church in Redding, CA. I was identified in an extended word of knowledge by Shawn Bolz who also referenced “Willing to Yield,” several times in that message. 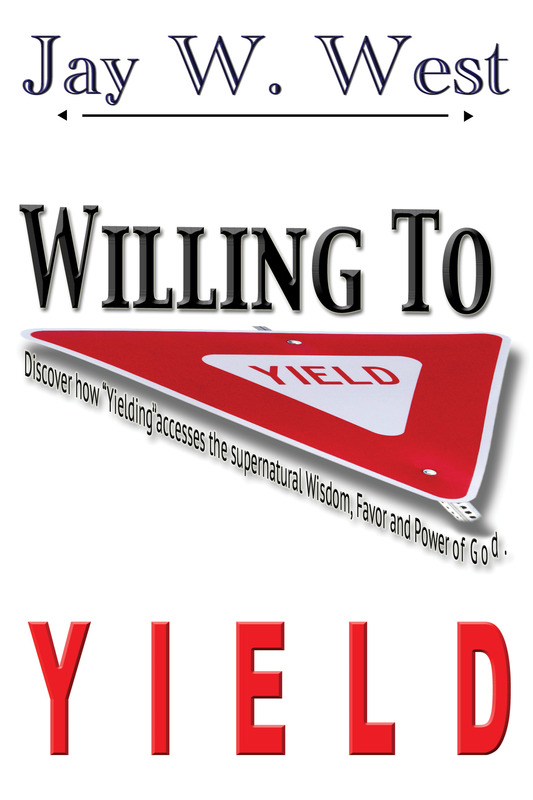 Then Pastor Jack Taylor who functions as Bill Johnson’s spiritual father endorsed “Willing to Yield”. 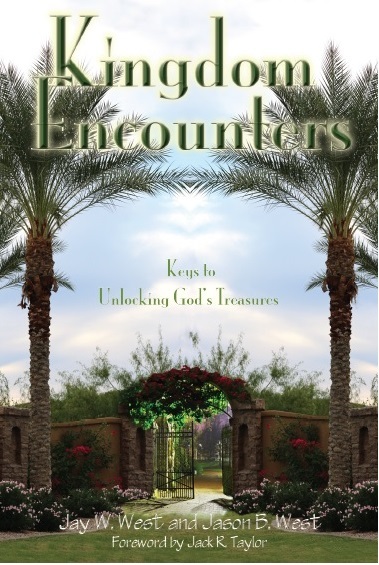 Shortly after that he also wrote the foreword for my third book, “Kingdom Encounters.” About the same time, Pastor Eddie Smith from Houston Texas approached me and offered to publish “Kingdom Encounters,” so I now had a well known publisher doing my books with SpiriTruth Publishing. The advantages include Amazon, E-Books, Kindle, Audio versions and submission to many bookstores across the nation and in other countries. In the process of publishing Kingdom Encounters, Eddie’s partner, Bill Vincent’s eleven daughter was reading “Willing to Yield” and she liked it so much that they decided to offer to get my other two books out into these other electronic venues as well just to bless us. In early April (2014), through one email I connected with Sid Roth’s ministry, and my books were submitted to his TV ministry to be considered on his show, “It’s Supernatural.” My third book, “Kingdom Encounters” was released and published as well. We also began to set up an expanded ministry prayer team in April that proved to be very beneficial in May and June. In fact I took one of my Intercessory team members on the Kansas trip with me. His name is Fc Farwell. He is a wonderfully anointed man of God and was a huge help to me. I have twenty intercessors on the team, with 13 of them local and the other 7 in various parts of the extended country. The month of May brought challenges and blessings as I had two trips to the ER and then emergency surgery for removal of a kidney stone, but my intercessory team was amazing. Several of them came to the house to pray right after the ER trips while others came to the hospital. Their prayers and presence really enabled me to make it during a tough battle. 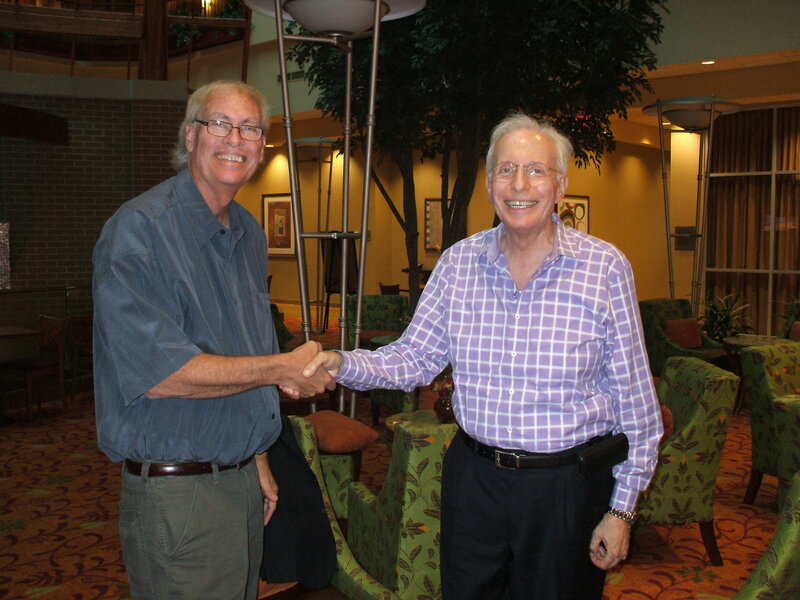 But in May I was also blessed to meet personally with Sid Roth and his producer when I took them both out for dinner here in Omaha for a three hour meeting. We are still praying about the door opening for the TV show It’s Supernatural, but how many get to say they had a personal one on one meeting with Sid Roth? We prayed together and bonded. 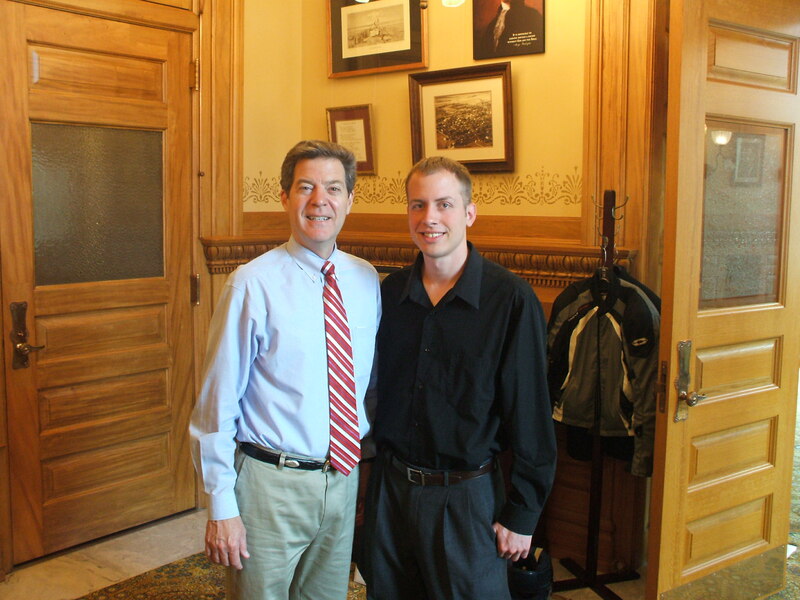 In June, Jason and I met personally with the Governor of Kansas for over an hour in the Capital office, and then I have had several conversations with him by phone since that meeting. He is a Godly man and I am honored to know him. I also started working on my 4th book and now have three chapters written. Pastor Sam Hinn from Orlando has agreed to write an endorsement for this book. Jason and I will meet with Pastor Hinn in Orlando in mid- August when we attend the Voice of the Apostles Conference, hosted by Randy Clark. In June, July and August and extending into the fall, we launched our own prophetic prayer intercession seminars, and are having some of the Intercessory Team teach with us as well. Jerry and Melissa Kelly were first and they are really gifted and anointed. So much so that I felt led to let them teach part of my scheduled session as well. I can’t wait to hear them again. During this time I was also asked to be the Nebraska Representative for the United States National Prayer Counsel, and then Diane and Jason were added to the team as well. This is a huge honor for all of us. And most recently, my pastor, Jim Hart has agreed to be my overseer for the next three years, so this is an added blessing that I have been seeking after for a couple of years. I myself, have also served as the overseer for a church in Kansas and just walked through a 22 month search and helped them secure a new pastor who is a personal friend of mine in California. 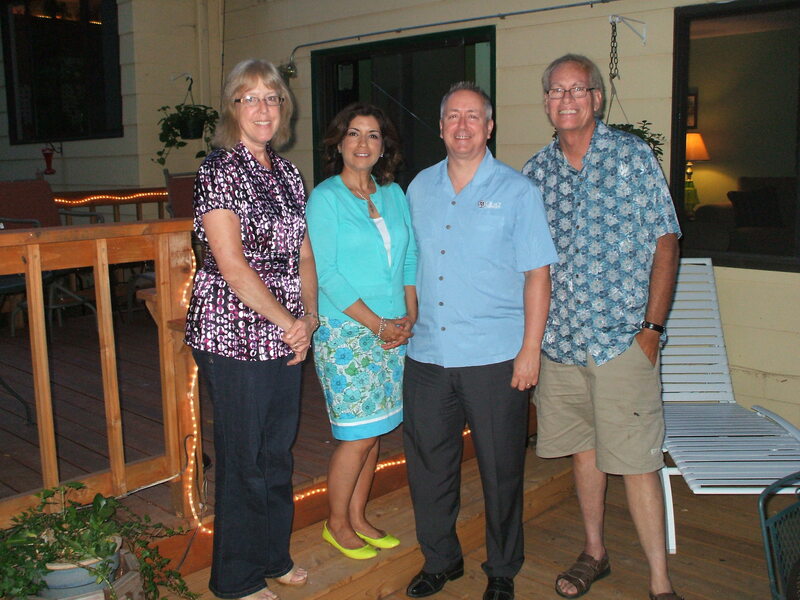 And finally we also connected with the new President of Grace University here in Omaha and have begun to have prayer and fellowship with him and his wife. So as you can see, these past few months have been filled with many ministry activities, not to mention ministering 47 times in locations around the area and nation. 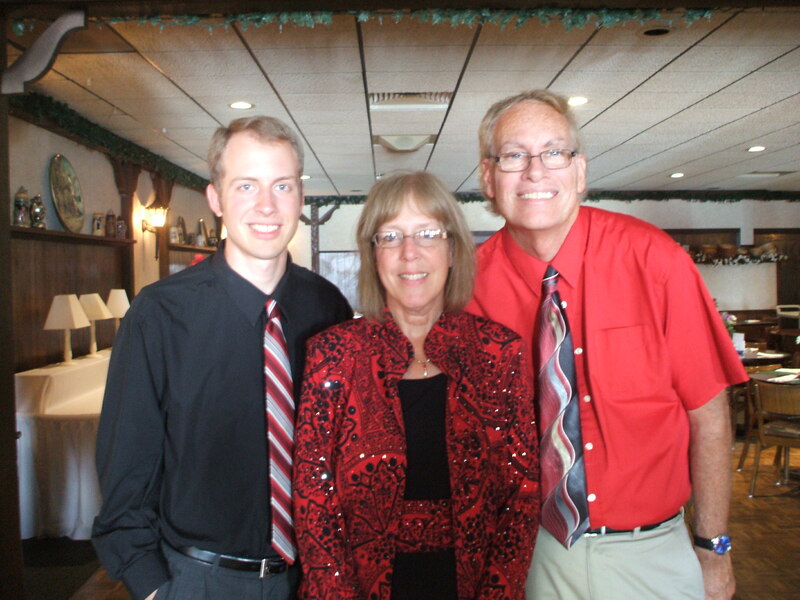 On a personal note, Jason is entering his senior year at Grace University and Diane will continue to teach at St. Paul Lutheran School. If this report did not ring your bell, then your clapper is wet. (smile) Thank God for His ministry opportunities. We value your prayers and hope you will leave us a note. Please pray for us too. Thank you so much! This entry was posted in Kingdom Encounters, Kingdom Living, Ministry Update, Upcoming Ministry Opportunities and tagged Anointing, Bill Johnson, Bill Vincent, Church Planting, Dr. David Barnes, Eddie Smith, Fc Farwell, Gov Brownback, Grace University, healing, intercession, It's Supernatural, Jason West, Kansas Capitol, Kidney Stones, Kingdom Encounters, Pastor Jack Taylor, Pastor Jim Hart, Power, Prophetic, publishing, Randy Clark, Sam Hinn, Schedule, Shawn Bolz, Sid Roth, United States National Prayer Counsel, Voice of the Apostles, willing to yield by anointed2go. Bookmark the permalink. God is truly moving and grooving in your ministry Jay! We can’t even begin to imagine how the Lord desires to use us, and your sharing with us, inspires us to dream BIG!!!!! Love all the good news, Jay. God is so involved in your guys’ lives and ministries. Blessed to know you! Thanks Kris – I met your friend Rick Branson on the plane to Florida and then we connected at Voice of the Apostles too – Congratulations on your wedding dude- very cool!! !